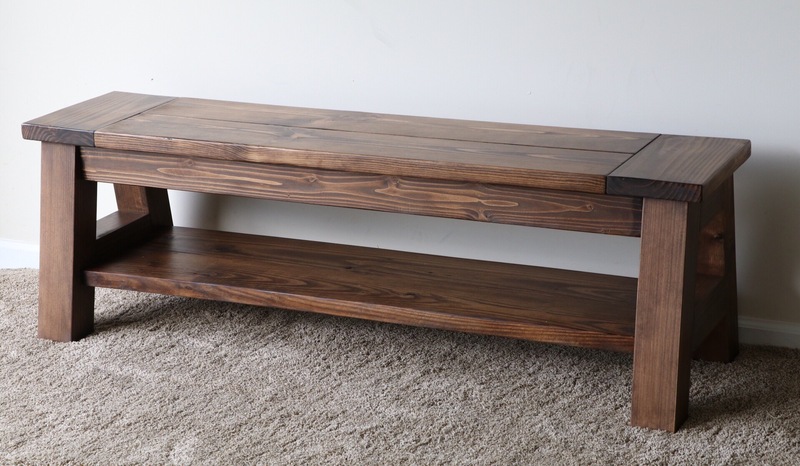 Custom order bench five feet long with shelf for shoe storage. Hi Andrew. I initially found your projects on Kreg’s “Build Something” website, which then led me to your website. Yank here from Virginia, still in my first year of woodworking. 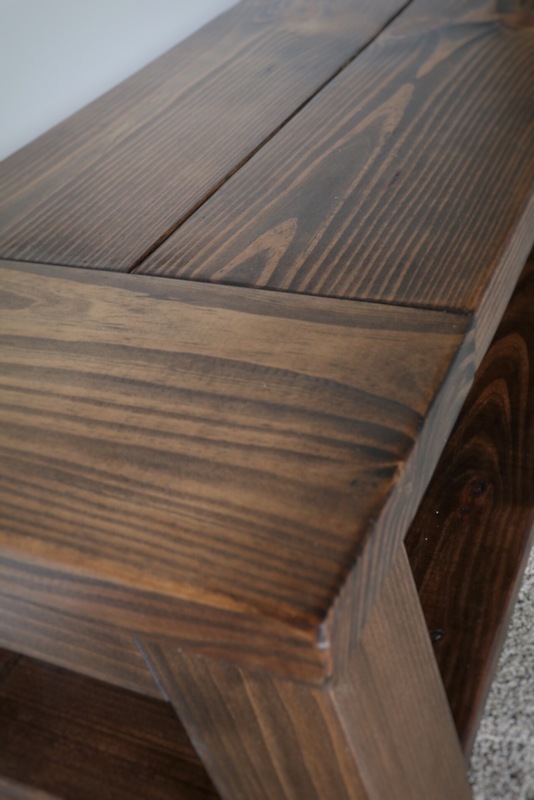 I love that you are able to take reasonably inexpensive materials (it looks like you use a fair amount of pine) and add elegance, sophistication and clean lines to make beautiful furniture. 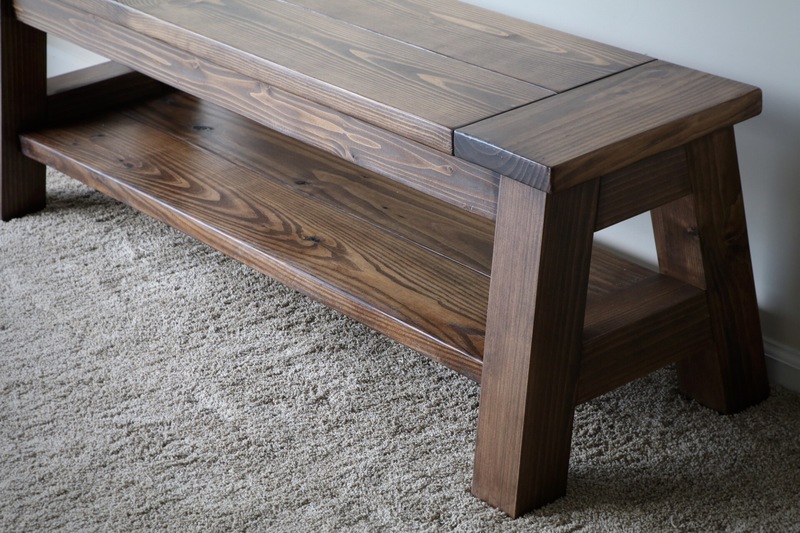 Does this A Frame bench employ pocket screw joinery, as do the projects on “Build Something”? When I try a build of one of your provided-plan projects, I’ll be sure send a contribution to the American Leukemia and Lymphoma Society. Thank you very much for sharing your work – it’s very inspiring.